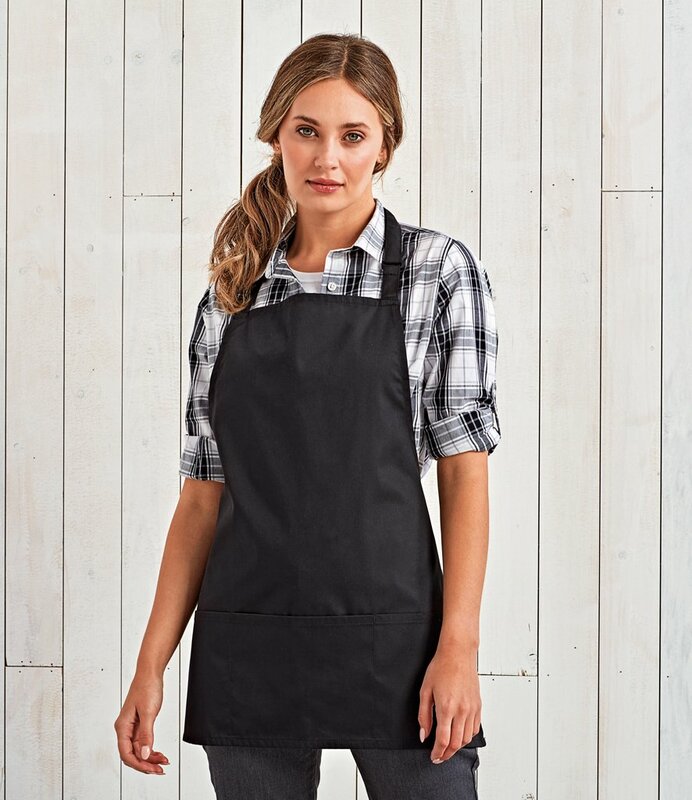 Three pocket short bib apron. Width 60 cm. Length 62 cm. Doubles over, neck ties are folded away to form waist apron. Self fabric neck with adjusting buckle. Self fabric 90cm ties.